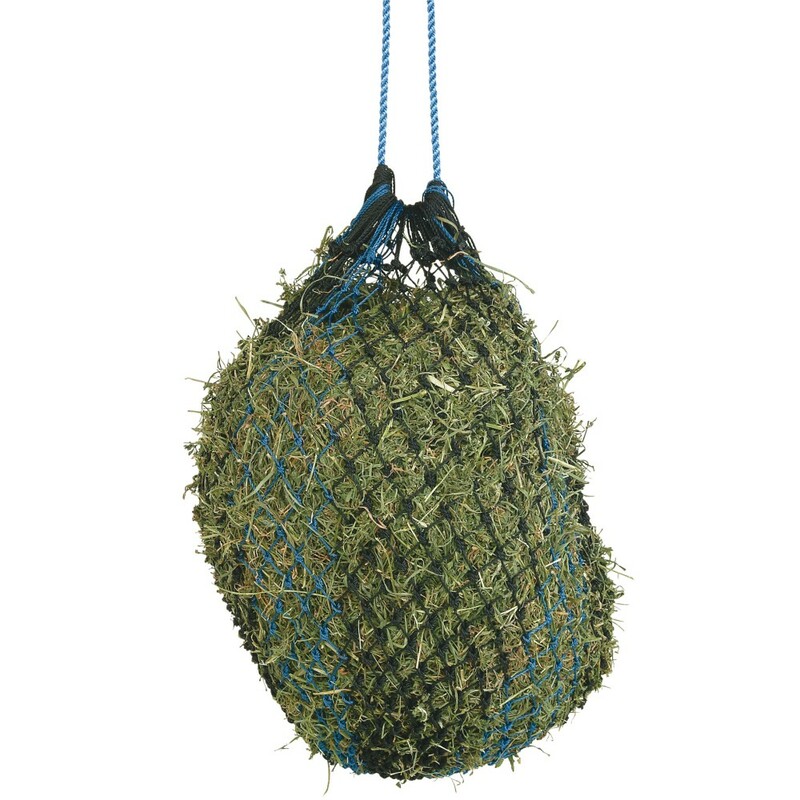 Heavy Two Tone Poly Slow Feed Haynet Medium 40"
 The small holes of this Haynet slow down the eating process, perfect for stabled horses or those who eat too quickly.  Heavy duty two tone mildewproof poly cord in blue and black.  The cord is looped at the top onto a thick poly rope. Thank you for your review of Heavy Two Tone Poly Slow Feed Haynet Medium 40".